Writing a play is hard. And in my experience, finishing a play is even harder! But it’s a great feeling to reach the end of the script, especially if I’ve managed to figure out a really great ending. (This doesn’t happen that often so even a half-way decent ending leaves me delighted. Endings are hard!) It’s an accomplished, euphoric sort of feeling. But then it fades and I wonder – what now? What do you do when you finish a play? Here are some ideas about where to do next and some more general resources for playwrights. Print out a few scripts, and ask your friends nicely if they’ll take part in a reading. Promises of tea/cake/wine/future favours might be helpful here. Hearing your script out-loud is incredibly helpful. It can also be incredibly painful because you hear all the bits that don’t work, such as the clunky dialogue where your characters stop sounding like human beings. You have to sit through the boring bits and know that you are responsible for the tedium. You suddenly notice the scenes that end too quickly and the ones that drag on too long. It’s really hard but really helpful. And it’s not all bad – you get to hear the great bits too, the bits that sound so real you can’t believe they came out of your head. You’ll see connections that you didn’t realise were there, you’ll see new aspects to the characters you thought you knew inside out. It’s definitely worth the pain. Take lots of notes, and note the good stuff as well as the bad. You learn from both. Top Tip: If the idea of showing your precious script to anyone or allowing it to be butchered in the mouths of your friends fills you with dread and horror maybe it’s not finished yet. Do another rewrite and then see how you feel. Send it to production companies and theatres. Depending on how the reading went, you will have a little or a lot more work to do on your script. If it was really bad you might want to tear it into little pieces. Resist that urge, hold on to the things that worked and fix the things that didn’t. Once that’s done, you can send it off to the professionals. Fishamble, the Abbey, Theatre Upstairs and The New Theatre all take unsolicited scripts. They’re much more likely to give feedback than offer to produce your play but it’s a good place to start. Make sure you read and adhere to the submission guidelines! Feedback can take months so make sure you start something new while you waiting. Deadlines are good for at least two types of writers. Those who have trouble getting started, and those who have trouble letting go. 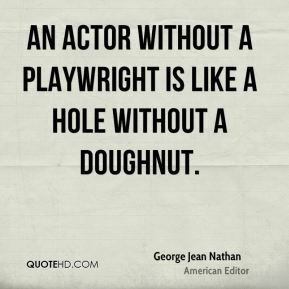 Follow Stephen Gregg on twitter – @playwrightnow. He’s tweets are bite-sized morsels of good advice. Apply for the Abbey’s Playwrights Hub. This September, as part of the Tiger Dublin Fringe, the Abbey are running a series of curated workshops at the Irish Writer’s Centre. They are describing it as “a space for playwrights to question, craft and create.” Deadline for applications is this Friday – 21 August 2015. Any interested writers will need to send an expression of interest and their writing experience to script@abbeytheatre.ie. As the places for the Hub are strictly limited, the deadline for expression of interest will be August 21 and we will contact all applicants with the decisions by August 28. There will be three groups of 10 playwrights and each group will have a 3 hour workshop with an established theatre maker. If you’re quick you might still have time to apply for Sarah Baxter’s LeCoq workshops, happening in the new year. Email a CV, a photograph and a brief letter explaining why you would like to take part to: sarahabaxter@gmail.com. Sarah has worked with Landmark Productions who produced Ballyturk this summer. If you saw that show, you will remember Mikel Murfi’s physically as he portrayed the various inhabitants of Ballyturk. (Along with Cillian Murphy in his underpants!) Murfi trained with Jacques LeCoq in Paris and is a very physical performer. These workshops are really good value and I think the performers will have a lot of fun. Plus I bet Sarah has some good stories from her work with Landmark! Deadline is today so email now. All the details are below. An eight day intensive workshop (Monday-Thursday over two weeks) for performers in LeCoq based physical theatre, ensemble play and devising for performance. Facilitated by Sarah Baxter (assistant director on Landmark Productions Howie The Rookie), participants will be invited into a space of discovery, rigour and play all accessed through a fully alive body. Over the eight days participants will partake in yoga, movement analysis, full mask work, physical expression, ensemble skills and devising techniques. Workshops are open to all (18+) performers (actors, dancers, musicians and those from other performance backgrounds). Sarah is a director based in Dublin. She is a graduate of LISPA- London International School Of Performing Arts (led by Thomas Prattki, former pedagogical director of Ecole Jacques Lecoq). She has worked in London and Dublin as a director, performer, mask maker, movement director and facilitator. She has worked with companies and organisations such as Fabulous Beast Dance Theatre Company; Landmark Productions; The Gate Theatre; Young Vic Theatre and Field Day Theatre Company. Applicants should email a CV, a photograph and a brief letter explaining why they would like to take part to: sarahabaxter@gmail.com. Workshops will take place at The Lab, Foley Street, Dublin. Spaces are limited. Please indicate your preference of which workshop date you would like to attend. Closing date for applications 30.11.2014. All applicants will be notified shortly thereafter as to whether they have been allocated a place. A few years ago I did a series of workshops with Actors Training Ireland. The workshops were in voice and movement and they activated my entire body and my brain. I really enjoyed them. They included movement work, some improv, working with text, working with the breath and exercises to wake up your body and your voice. Every week I learnt something or realised something new about my body, in an environment that was friendly and supportive. The workshops were run by Andy Crook and Helena Walsh who both taught at Trinity, as part of the acting course there. Now Actors Training Ireland has morphed into Articulate Anatomy Theatre and have lots of plans in the pipeline, including a 4-day workshop next month. With Helena Walsh and Andy Crook. This unique workshop is a practical training and investigation into the integration of body, voice and imagination; exploring how we can develop our creativity, have more choices available to us as actors and become more self-aware and less self conscious in our work. The workshop will energise the actor, create greater presence and develop a simple and direct means to opening up text and accessing our creative self. The work explores aspects of voice (Roy Hart and Fitzmaurice Voicework), physical training (Jacques Lecoq and Phillip Zarrilli) as well as utilising aspects of Stanislavski and Chekhov. It centres around body, breath and physical action. Helena Walsh is one of Ireland’s leading voice specialists and teaches nationally and internationally. She is passionate about voice work and encouraging each individual to discover their authentic voice through artistic expression. Her approach to voice is an integration of voice / body and imagination (text), making it easier for the young actor to build a bridge from their acting to their voice work. Helena holds a BA in Classics from University College Dublin and has trained and performed as an actress and singer both nationally and internationally. In 2003 she was awarded an Arts Council bursary to pursue professional mentorships at the Abbey Theatre under Voice Director Andrea Ainsworth and at Trinity College under Kevin Crawford, founding member of The Roy Hart International Voice Centre, France. She is currently doing a Teaching Certification in Fitzmaurice Voice work at the International Centre for Voice at Central School of Speech and Drama, University of London and will be the only teacher of this method in Ireland. Helena teaches voice on the full time actor-training programme at The Gaiety School of Acting, on the three-year theatre studies programme at Inchicore V.E.C and on the BA in Liberal Arts at The American College, Merrion Square. Andy Crook is a teacher and maker of theatre who is presently based in Dublin, Ireland. He trained at the internationally renowned Ecole Jacques Lecoq and has worked as a director, performer and teacher throughout Europe and the USA. He was associate course co-ordinator on the Professional Actor Training Programme at Trinity College, Dublin and has taught in several drama schools in the UK. He has been an Associate Lecturer on the Drama and Theatre Studies programme at University College Cork and is a regular tutor on the MFA in Physical Theatre at the Accademia Dell’Arte, Arezzo, Italy. He has recently been teaching and directing at Rose Bruford College and Mountview Academy of Theatre Arts both in London. Much of his recent performance work in Ireland and the USA has been with either with company, Articulate Anatomy, or with well-known psychophysical theatre director Phillip Zarrilli (The Llanarth Group). Andy’s work is inspired by and developed from his training with Jacques Lecoq and nearly 30 years of working as a director, performer and acting teacher. It explores the dynamics of play by developing the actor’s energetic physical connection, awareness of space and active engagement with fellow performers. This exploration leads to the discovery of a new freedom, sense of creativity and means of physical expression. If I had to set someone up on a date with a theatre (no, I’m not sure how that situation would arise either but just go with it), I would probably set them up with Project Arts Centre. 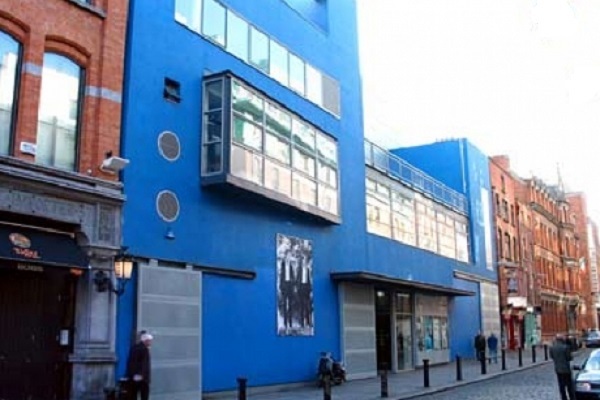 If you haven’t yet had the pleasure, Project is the big blue building in Temple Bar. You might have passed on your way to or from Meeting House Square or looked across at it from the Garage Bar. Much as I love the old-school glamour of the Abbey’s red velvet seats or the beautiful contrast between new and old in Smock Alley, Project is still my favourite Dublin theatre. We performed Trilogy there in the Fringe a few years back, so for that reason alone I will probably always have a special place in my heart for it but even without that connection, I would still love it. When I’m bringing people to the theatre, Project is almost always the gateway drug of choice. Tickets are reasonably priced and there is such a wide variety of stuff on, it’s easy to find something they’ll like. It’s a fairly diverse programme and I love that you can walk into the theatre spaces – the Cube downstairs and the bigger Space Upstairs and find them utterly transformed from the last time you were there, even if that last time was only a couple of days ago, which in my case, it often is! I spend a lot of time there and a fair amount of money too. Luckily there’s the 25% off Early Bird offers and cheap Real Deal nights to help ease the strain on my bank balance because there’s loads on there in the next couple of months which I want to see. The main thing is Man of Valour which I am still kicking myself for missing in the Fringe two years ago, there’s also a ‘re-imagined’ version of Howie the Rookie for one actor, directed by the writer Mark O’Rowe and performed by Tom Vaughan-Lawlor, Sopadeine is my Boyfriend is back for another run in the middle of June and Carmel Winters’ new play Best Man comes here after the Cork Midsummer. They are also playing host to whole heap of shows in the Dublin Dance Festival. But if you would like a more informal introduction for your first date with Project Arts Centre, you should go along to their Community Day tomorrow. There will be free workshops, guided tours of the building and the current visual-art exhibition, as well as tea and cake. There is a dance workshop at 11.30am with Muirne Bloomer, a workshop in Commedia dell’Arte and mask with Annie Ryan from 12pm and a theatre and performance workshop with THEATREclub at 2pm. It kicks off this evening with Arena being broadcast live from the Space Upstairs. As far as I know there are still tickets available and the doors open at 6.45pm. But if you can’t make it to the Community Day, have a look at the rest of their programme of events and make a date to pay them a visit. Update: The Arena programme all about Project is now up on the RTÉ player and includes contributions from Cian O’Brien, Peter Sheridan and Philip McMahon, as well as some beautiful music from The New Triangle. 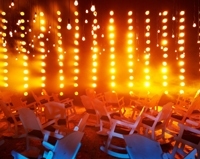 Last year, Project Arts Centre announced that they would be hosting the IETM Spring meeting. At that time, I knew next to nothing about IETM. I’ve had a bit of a crash course since then in preparation for the Dublin meeting which takes place from April 11 – 14. IETM stands for Informal European Theatre Meeting. The group has changed it’s name to the more inclusive International Network for Contemporary Performing Arts but the original name gives you a better sense of what the whole thing is all about. Like the fact that it’s all about meeting people. IETM is not a conference. It’s a meeting. The aim of the three-day event is for delegates to meet people in the performing arts, in the hope that they will be like-minded individuals that they can form useful and long-lasting relationships with. A couple of the events in the Dublin programme illustrate this point – on Saturday morning, Day 3 of the Conference there are two early morning events – Run! and Jump!, where attendees are invited to go for a run through Phoneix Park or a swim at Seapoint. This has nothing to do with theatre or the performing arts, but it is a good way to get to know people and a good first step to cultivating a relationship! Making links with Europe can only be a good thing for the arts in Ireland. Our little island nation can be a bit too inward looking sometimes, or only influenced by British and American culture – people who literally speak our language. I think it’s a good thing to have outside influences coming in to add something new to the mix. The theme of the Dublin meeting is “Trust” and all the sessions relate to that theme. Some of the ones that I really like the look of are; Are The Performing Arts Driving Us Mad? which is about the mental health of those working in the arts and the role that the arts can play in improving mental health; The Big Debate: How to trust and be trusted which takes place in different venues over the three days of the meeting; another practical one – Trust Circus To Take You Into The Unknown which involves trust games and circus skills and the opening night Reception with the wonderful Pop Ceili. These are all delegate only sessions which means you have to sign up and pay the registration fee to attend. Registration fees start at €75 but you don’t have to be a member of IETM to register for the meeting. This is the Early Bird offer which ends on March 28th. After that the fees double to €150 so if you are planning to attend, register soon! It can be a difficult, time-consuming process so don’t try and do it in a hurry! And if, like me you can’t afford the registration fee, there’s still the Artistic Programme, which is open to both delegates and non-delegates. There are five performances – Pan Pan’s All That Fall, Brokentalkers Have I No Mouth, a gig curated by Dylan Tigue called Let the music do the talking and two dance pieces – John Scott Dance’s Body Duets and Fast Portraits by Liz Roche Company. There’s also live art happening in the Cube each evening, which is free and open to non-delegates. Tickets for the other pieces are €10 and available from Project. 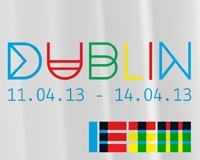 (Delegate tickets are €6 and available in person only, from April 11th.) Most of these performances are happening in Project Arts Centre, which is the Meeting Place and Hub for IETM which means you get a change to get a sense of the IETM atmosphere and maybe do a little mingling and networking without registering for the full meeting. You can also get involved as a volunteer, if you have the time to spare. Volunteers are asked for at least 3 days commitment (8 hours a day) between 8th and 14th of April. There are more details here and applications close on Friday, March 22. I think if you can afford to attend, this is a wonderful opportunity to meet other art practitioners from around Europe and hear what their work practices are like. It’s unlikely that a meeting will be held in Dublin again so this is the year to do it! Who knows who you might meet or what connections you could establish. And for those without tickets, I think it’s worth paying a visit to Project during those three days and seeing the whole thing in action. Again, who knows who you might bump into! ◆ moving from sustained sound into the spoken voice to discover what is revealed inside. Participants are asked to bring a monologue, preferably from Shakespeare – to open up, tear apart and enter in a new way. This is a highly physical, and we hope, invigorating class. Focus is on the ensemble moving to the individual voice. Please contact us on: 086 8548885 or e-mail actortrainingireland@gmail.com for further information. Annie Ryan invites you to come for five days of intense and rather terrifying improvisational play with the Corn Exchange ensemble. Please send a CV or if we know you already, an update of recent work to hello@cornexchange.ie. Closing date for applications is Thursday, 25 Oct. Please note that places at the Workshops are strictly limited to 16. Successful applicants will be notified by Halloween. Acting Training Ireland, who I have done workshops with and am very enthusiastic about are doing a four-day workshop in voice and acting at the beginning of June. It’s €200 for 4 full days which is a little bit out of my price-range at the moment but they are very, very good. If you do get a chance to go along, please let me know how you get on! Here are all the details. Contact details here. This workshop is an exploration of acting using text, voice and improvisation combining the ideas of Jacques Lecoq and Roy Hart. It will be highly physical and playful using the energy of the individual working within the ensemble to challenge and encourage each participant to explore more deeply their craft and purpose as a performer. It will look at how we can be alive and spontaneous whilst being true to a text and connecting and responding to those around us. Learning to work with our whole body and mind together produces work of depth, colour and great sensitivity. We will focus on wakening ourselves up physically and mentally, sensitising ourselves with others and then connecting to text and to playful situations. The first part of each session will focus on physical and vocal technique that will open up the body and voice, grounding the actor and preparing for improvisational ensemble work in the afternoon. Techniques are inspired from Feldenkrais, Astanga yoga, Lecoq and Roy Hart. The second part of each session will be spent on understanding acting through choral voice and sung pieces and through active imaginative play and work on text. Songs will be used to encourage a greater range of expression in the spoken voice and choral pieces will be sung and spoken. The emphasis will be on the physicalisation of song and the word. We will learn to embody the gesture of a phrase, or ground the feeling of a word through clear energised thought and a dynamic articulate and expressive body. This is taken through to the acting with text and improvisation work allowing physical action to take us into the discovery of situation and meaning. This is a course that is suitable for anyone with some acting experience. Having a trained singing voice is not necessary and the course is designed for actors who would like to explore moving freely from spoken to sung text . The work is challenging but always fun. The Abbey are holding General Auditions in the second week of August (10th, 11th and 12th) and they are taking applications until this Friday, July 29th. Although it sometimes seems like the same names and faces appear in every Abbey production, so far this year there have been 16 new faces out of the 66 actors employed on the Abbey and Peacock stages and on tour. This is according to Fiach Mac Conghail (@fmacconghail), director of the Abbey on Twitter today and includes Charlie Murphy who made her début as Eliza Dolittle in the wonderful production of Pygmalion that I never got around to writing about. Meanwhile, the other big theatre in Dublin 1, the Gate is running a workshop in audition techniques for actors next Wednesday week, August 3rd with casting director Maureen Hughes. It runs from 11am – 5pm and costs €35 which is a much cheaper that a lot of other full day workshops.